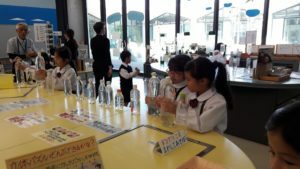 On Thursday, October 25th, we went to visit the Water Science Museum of Kumamoto. 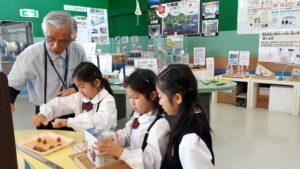 After riding on public buses and trains, we made it to the museum, where the staff welcomed us warmly to show us the amazing work that they do. The field trip was an extension of our transdisciplinary learning theme about caring for the environment. 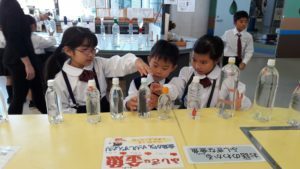 Students learned how water makes it from beneath the ground to our taps, as well as how water is purified. 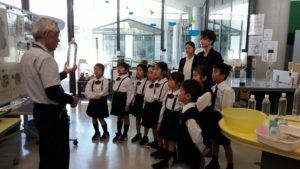 The staff at the museum generously allowed the students to walk around freely in the experiment room and try out many educational games. The were also able to observe and listen to fun interactive lectures. 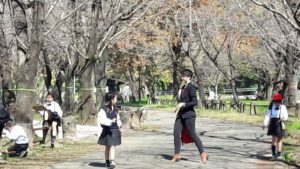 After leaving the museum, we went looking for plants and animals to write about and draw in the big park outside the center. 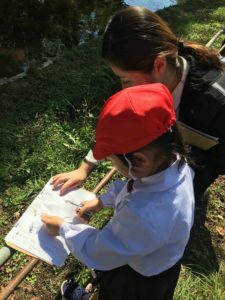 The children had fun looking for birds, fish, acorns and bugs in the beautiful pond and garden, and writing their thoughts and observations on their worksheets. 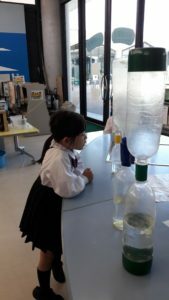 We were very proud of how the kids behaved, and how they were able to safely have fun and learn new things!